I help high achieving professionals avoid burnout. Aisha shares a relatable and humorous story of her triumph over burnout. Through her story, she illustrates simple strategies high achievers can use to balance career commitments with their commitments in the rest of their life. Aisha Moore has been a health educator for 20 years. Through her company Self-care by Aisha, she helps professional women avoid or recover from burnout. She provides personal development programs focused on self-care for nonprofits, businesses, associations, foundations, young professionals groups, colleges, universities and civic groups. 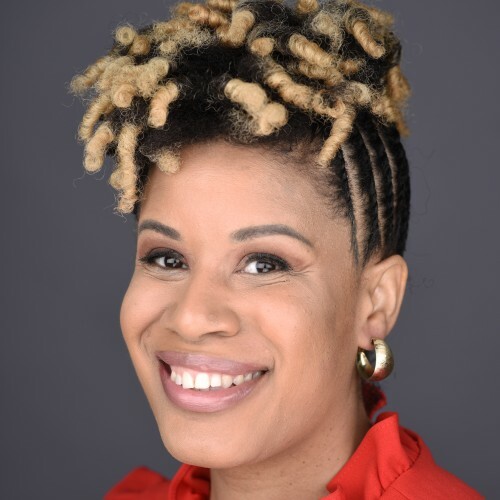 She is the creator of the “Self-care Planning in 10 Steps” workbook and the “Self-care Bill of Rights.” Aisha has been featured on Madame Noire, the Happy Black Woman Podcast and in the book the Happy Healthy Nonprofit. My story and solutions are featured in this book. --- The Happy, Healthy Nonprofit: Strategies for Impact without Burnout September 26, 2016 by Beth Kanter (Author), Aliza Sherman ----- Steer your organization away from burnout while boosting all-around performance The Happy, Healthy Nonprofit presents realistic strategies for leaders looking to optimize organizational achievement while avoiding the common nonprofit burnout. With a uniquely holistic approach to nonprofit leadership strategy, this book functions as a handbook to help leaders examine their existing organization, identify trouble spots, and resolve issues with attention to all aspects of operations and culture. The expert author team walks you through the process of building a happier, healthier organization from the ground up, with a balanced approach that considers more than just quantitative results. Employee wellbeing takes a front seat next to organizational performance, with clear guidance on establishing optimal systems and processes that bring about better results while allowing a healthier work-life balance. By improving attitudes and personal habits at all levels, you'll implement a positive cultural change with sustainable impact. Nonprofits are driven to do more, more, more, often with fewer and fewer resources; there comes a breaking point where passion dwindles under the weight of pressure, and the mission suffers as a result. This book shows you how to revamp your organization to do more and do it better, by putting cultural considerations at the heart of strategy. Find and relieve cultural and behavioral pain points Achieve better results with attention to well-being Redefine your organizational culture to avoid burnout Establish systems and processes that enable sustainable change At its core, a nonprofit is driven by passion. What begins as a personal investment in the organization's mission can quickly become the driver of stress and overwork that leads to overall lackluster performance. Executing a cultural about-face can be the lifeline your organization needs to thrive. The Happy, Healthy Nonprofit provides a blueprint for sustainable change, with a holistic approach to improving organizational outlook. Find out more about Self-care by Aisha at http://www.selfcarebyaisha.com.